Working with intelligent, pleasant adults is a joy. As a seasoned court reporter in the 1990s, I expanded my skill set to provide Communication Access Realtime Translation (CART). 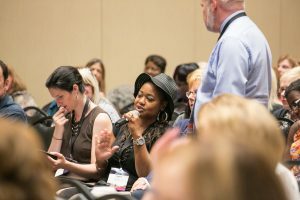 At that time, I remember arriving at a high-level medical conference to provide CART, and let me tell you, it was the most daunting assignment I had undertaken up to that time. The majority of terms were between three and seven syllables and in an area of medicine with which court reporters are not regularly exposed to: neurofibromatosis. In my 33-year career, I have discovered that of the professional hats I wear – as both court reporter and captioner – by far the role within which I receive the most appreciation and recognition is on-site CART captioner. We provide a critical link for people who are deaf or have hearing loss to the world around them. And in the consumers’ professional settings, our skills have a powerful impact on their success. I believe that the most significant effect these services have is in a person’s professional life and in and medical and health settings. Perhaps this is why, when I arrived at the above-mentioned conference decades ago, the organizers gave me a corsage as an expression of their appreciation. As a captioner, I spend a large part of my time focused on obtaining in advance as much prep materials as possible. Often this is like pulling teeth, as many invited speakers and lecturers are well-seasoned experts in their careers and, due to busy schedule, unfortunately put off preparing for an engagement until the 11th hour. Understanding their professional demands, I keep in regular communication with the event organizers to receive prep materials. When all is said and done, I am consistently emotionally moved and positively affected by the work and efforts of these organizations and their undeniably honorable influence on our world. When preparing for a recent celebratory event for a different nonprofit, the point person at the organization provided me materials piecemeal as they became available. As the event drew closer, the materials grew to be more extensive, and some earlier versions of scripts were replaced with updated versions. I was also provided the event rundown, which is a timeline of when each piece of the show is to be cued up. Even on the day of the event, some of the moving pieces are morphing; and as I was on my way to downtown Chicago, there was a change in a song selection and thus lyrics, so I asked the organizer to print out the lyrics for me and bring them on-site to the venue. Once on-site, I was provided the updated lyrics in hard copy form, and I plugged the pages into my 30-some page aggregated script. I explained to the organization’s point person that constructing the entire script, ready to go live, was like working on a jigsaw puzzle. The event was a wonderful amalgam of an instrumental percussion piece, an instrumental work on piano, a moving vocal blues number, and an upbeat, fun, stylized rap about Chicago; the music was interspersed with congratulatory speeches, presentations of awards, and expressions of appreciation. During the speeches, a speaker apologized directly to me in advance for going off script, but I was mesmerized by the joy and excitement of the occasion and didn’t miss a beat. The awards and recognition portion of the event was followed by a mix and mingle, including open bar and hors d’oeuvres. Reconnecting with acquaintances in the arts and disabilities communities and making new friends from among this talented, passionate, and compassionate group is adequate recompense in and of itself. 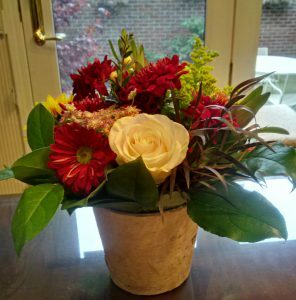 However, in addition to being paid for my professional captioning services, my client followed up with having delivered to my home a few days later a beautiful bouquet of flowers! It is sure nice to be appreciated – and it’s a blessing to work with such a giving, thoughtful, and supportive organization. Cathy Rajcan, RDR, CRR, CRC, is a captioner and agency owner based in Wheaton, Ill. She can be reached at efficiencyrptg@cs.com. Ellen L. Heckle, RPR, CRR, CRC, of Archer City, Texas, recently reached a milestone in her career: “After years of working with hard-of-hearing students, I experienced the culmination of seeing a hard-of-hearing student through her higher-education learning to receiving her double majors including a Bachelor of Science in dental hygiene and a Bachelor of Arts in sociology,” she said. 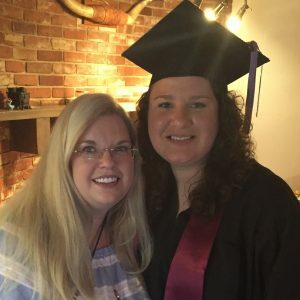 She says that she is very excited for the graduate, who plans to obtain a Master of Education degree. Heckle emphasizes the perks of CART captioning at the college level. “It is just fun to be with the students and to be in the college setting for the second time around,” Heckle says. “I don’t remember it being this much fun when I attended college.” Heckle earned a Bachelor’s degree in Business Administration in 1985. “It is rewarding to be on a student’s journey for a future goal. Really nothing compares to helping someone reach their dreams,” she says. 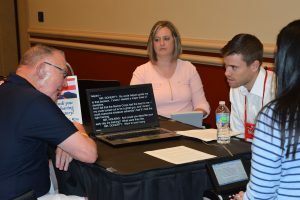 The National Court Reporters Foundation hosted a second Hard-of-Hearing Heroes Project initiative on June 23 at the 2017 Hearing Loss Association of America (HLAA) Convention held in Salt Lake City, Utah. 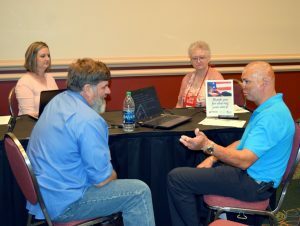 Volunteer court reporters, captioners, and interviewers turned out to help chronicle the service experiences of seven veterans, which will be transcribed for the U.S. Library of Congress Veterans History Project (VHP). Retired Staff Sgt. Shilo Harris (front right), who received life threatening injuries while serving in Iraq, is interviewed by retired Lt. Lynn Hinckley (front left). Cecilee G. Wilson (back right) provides CART while Amber Fraass (back left) transcribes. Among those interviewed was HLAA convention keynote speaker retired Staff Sgt. Shilo Harris, who served in the U.S. Army during Operation Iraqi Freedom. He suffered severe third degree burns on 35 percent of his body after his armored vehicle was struck by an IED in February 2007. Harris’s injuries also included the loss of both ears, the tip of his nose, three fingers, and numerous broken bones. The devastating injuries required that he remain in a medically induced coma for 48 days; after, he spent nearly three years recovering and undergoing intensive physical therapy at the burn unit of the Brooke Army Medical Center (BAMC) in San Antonio, Texas. Harris received numerous awards for his service including a Purple Heart, Meritorious Service Medal, and the Army Commendation Medal three times. While at BAMC, he was the first soldier to participate in cutting-edge regenerative stem-cell research to regrow his fingers and later received prosthetic ears. His recovery has involved more than 75 surgeries. He also has suffered from post-traumatic stress disorder, also known as PTSD. In 2010, Harris was medically retired from the Army. He is now a motivational speaker and author of Steel Will: My Journey through Hell to Become the Man I Was Meant to Be. Hinckley also had the opportunity to interview Randal “Randy” Nelson, a retired U.S. Army Colonel who served during both Gulf Wars including deployments in Afghanistan and Iraq. Nelson earned many awards over the course of his service, including two Bronze Stars and three Legion of Merit awards. Originally from South Dakota, Nelson now resides in North Carolina. During his interview he shared how he lost his hearing in his left ear during a Jet Ski accident, but was allowed to continue his military career by overcoming balance issues and learning to rely on his right ear. During the interviews, the two veterans were able to connect having both served in the same locations in Iraq, a connection that appeared to help the interviewer and interviewee draw upon a camaraderie that is inherent among veterans. Retired Marine Corp combat veteran Don Doherty (left) is interviewed by Patrick Holkins (right). Amber Fraass transcribes (middle), while Phoebe Moorhead (far right) provides CART. “This project provides an opportunity for nonveterans to get a feel for what military life is like. This is information that would have died with the veteran if not for this project,” said Hinckley. Don Doherty, a retired Marine Corps combat veteran, who lost his hearing during the Vietnam War and has worn hearing aids since 1970. Over the course of his service, Doherty earned the Combat Action Ribbon, the Navy and Marine Corps Achievement Medal, the Navy Commendation Medal, and the Presidential Unit Citation. He has worked for the Department of Veterans Affairs for more than 20 years and currently serves as the vice-chairperson for HLAA. He resides in Moyock, N.C., and was interviewed by fellow HLAA board member Patrick Holkins, an attorney from Washington, D.C.
Mike Wehman, a Radioman 2nd Class and Shellback, who served in the U.S. Navy during the Vietnam War. He served on the Charles S. Sperry destroyer ship, the Wright communications ship, and the Benewah – floating command center in the Mekong Delta. Wehman earned the Vietnam Service Medal and National Defense Service Medal. He resides in Des Plaines, Ill. Retired Lt. Commander Ron Tallman, who served 22 years in the U.S. Navy. He served during the Vietnam and first Gulf War and was awarded the Navy Achievement Medal, Navy Commendation Medal, and Meritorious Service Medal, among others He is a board member of the Sun Lakes, Ariz., HLAA chapter and co-chair for the Arizona Walk4Hearing. He is originally from Seattle, Wash., and resides in Arizona. Gerald “Jerry” Hutch, who served in the U.S. Air Force during the Cold War/pre-Vietnam era as an Airman 1st Class E-4. He was born in McKees Rocks, Pa., and served his entire tour of duty in Texas. He currently resides in Helena, Mont. Hutch is legally blind due to age-related macular degeneration has severe hearing loss in both ears, and uses digital hearing aids. Louis Shaup, who served in the U.S. Army during the Vietnam War as an SP4 and E-4. He served in the Military Assistance Advisory Group Vietnam, conducting top-secret Army intelligence. Shaup earned several awards for his service, including the Vietnam Service Medal. He was born in Ashland, Penn., and now resides in California. “This interview opportunity was an incredibly profound experience for me,” said Matthew R. Barusch, NCRA’s Manger of State Government Relations, who volunteered to talk with U.S. Army veteran Louis Shaup. “The opportunity to hear a firsthand account of Louis’ wartime experience was both moving and humbling, and for me, reinforced the necessity of the Veterans History Project. These veterans, who sacrificed a lot to serve our country, deserve to have their stories heard and preserved, and I was honored to be a part of that preservation,” Barusch said. NCRF launched the Hard-of-Hearing Heroes Project at HLAA’s headquarters in Bethesda, Md., in February, where five veterans with varying degrees of hearing loss chronicled their service experiences. NCRF’s Hard-of-Hearing Heroes initiative is supported by an Innovation Grant from the American Society of Association Executives Foundation. 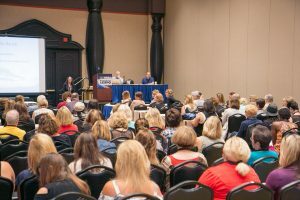 Two more Hard-of-Hearing Heroes events will take place at the Military Order of the Purple Heart National Convention being held in Dallas, Texas, in August, and at the Association of Late-Deafened Adults annual convention being held in Orlando, Fla. in October. NCRF is currently seeking volunteers to participate at both of these events. 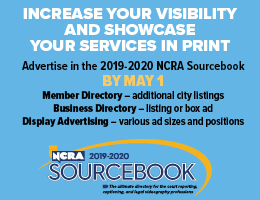 For more information, please visit NCRA.org/NCRF, or contact April Weiner, Foundation Manager, at aweiner@ncra.org. On May 17, Times Higher Education published its first of a series of stories about life on campus with a disability. 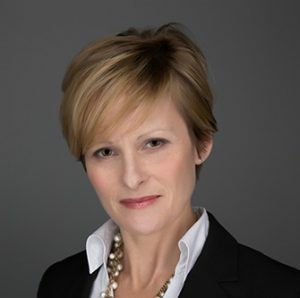 Author Brenda Jo Brueggemann, professor and Aetna chair of writing at the University of Connecticut, addresses hearing loss and discusses her use of a realtime captioner. Cathy Rajcan, RDR, CRR, CRC, understands the importance of access in all situations. One of her regular assignments is providing CART for lectures at the Art Institute of Chicago. The Art Institute recently offered a tour to a group interested in accessibility and asked Rajcan to provide CART for the group. Since tours do not stay still, neither could Rajcan. The JCR talked to Rajcan about how she handled this mobile CART assignment. How did you get the assignment to CART an art museum tour? How often have you done an assignment like this? I have been providing CART for lectures at the Art Institute of Chicago for a few years. The lectures are offered to members and the general public. This was the first time I have provided mobile CART at the Art Institute, and it was a lot of fun. The event was organized in conjunction with the Chicago Cultural Accessibility Consortium, a nonprofit volunteer organization that has been facilitating various cultural venues in Chicago to create welcoming environments for people with disabilities. 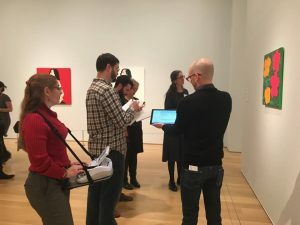 This particular event was focused on making visual art more accessible to people who are blind or have low vision, and participants were learning how to audio-describe the artwork they were observing. The Art Institute has WiFi throughout the building, which is very helpful in making communication access available to large groups. Does the Art Institute offer CART regularly for tours and other events, or was this organized separately? The Art Institute of Chicago has been providing ASL-interpreted tours for a couple years, and I have been discussing with their education department making the mobile CART available for the tours specifically for people who have hearing loss but do not use ASL. CART captioning has been made available particularly to mature audiences, who have a higher incidence of hearing loss. What is your setup for mobile CART? For mobile CART, I loaded my CAT software onto my tablet and Bluetoothed my Diamante to the tablet. From the tablet I sent my realtime stream to an Internet platform, and then provided the URL to the tour attendees so that additional people could view the CART stream from their handheld devices and smartphones. The setup with the mobile table is quite different ergonomically. 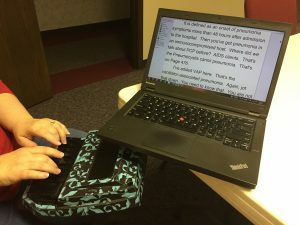 I practiced on several occasions in advance prior to providing mobile CART to become comfortable writing while standing and getting my steno machine situated in the best way possible. I also told the docent in advance to please only speak while stopped rather than while walking, which would maintain a high degree of accuracy — I told them, “This is much more difficult than walking and chewing gum!” My steno machine was attached to the mobile table with a large commercial strength Velcro circle as well as a small stabilizing strap for extra peace of mind — it is, after all, a $5,000 piece of equipment! What were some of the words and phrases you made sure you had in your dictionary for this assignment? This was literally “thinking on my feet” as far as consciously recalling the unique dictionary entries I have created for art-related names and terms. I have approximately 200 specifically unique job dictionaries that I use according to the topic and setting. My Art Institute dictionary is approximately 400 entries; however, I always request in advance of a CART assignment prep materials for that particular day, and then I study those entries prior to the event. This tour was in the Modern Wing, which currently houses the Edlis/Neesen Contemporary Art collection, a gift from Stefan Edlis, a Chicago-based art collector and philanthropist, and his wife Gael Neesen. In addition to the donors’ names, I included in my dictionary the names of artists who created the pieces — e.g. Andy Warhol, Jeff Koons, Katharina Fritsch, and Jasper Johns — and the names of some of the pieces, such as Liz # 3, Target, and Woman with Dog (Frau mit Hund). Was this assignment related to your personal interests at all? I have a true appreciation for visual, musical, and performing arts. Other than my unique skill as a court reporter and captioner and some domestic textile talents, I am not gifted in the arts. Although several years ago a friend of mine who is a master violinist explained to me that we all have various talents, and those with skills in the performing arts and fine arts are grateful for those of us who appreciate their talents and are audience members and enthusiasts. Having provided realtime captioning at performing arts events, I have gained a great appreciation for the abilities of performers to memorize and perform the dialogue and lyrics in plays and musicals. They are truly amazing! Cathy Rajcan, RDR, CRR, CRC, is a CART captioner in Wheaton, Ill. She can be reached at efficiencyrptg@cs.com. 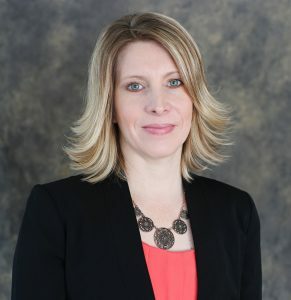 Sheri Smargon, RDR, CRR, CRC, has shared her experiences on social media working with the Federal Emergency Management Agency (FEMA), and I thought everyone would enjoy hearing more about these adventures. Sheri, tell us a little about your background as a CART captioner, I know it’s extensive. I started captioning directly out of court reporting school in 1992, working for our local county commission. We were the first county in the nation to caption its government meetings, and it was in an open caption format, which means that anyone turning to the channel could see the captions, whether they wanted to or not. In the early days, it probably was more of a “not” situation. The people in charge figured if you could write “on that machine,” you must be able to caption. Boy, we proved them wrong! After two years, I moved from Florida to Pittsburgh, Penn., and went to work at VITAC, the country’s largest captioning provider. I loved the job, but hated the weather. I’m from Massachusetts originally and thought I missed snow and seasons. Not so much! 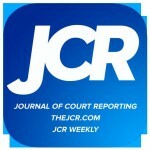 So after two years, I moved back to Florida and started freelance work for the local court reporting firm who had the contract with the county courthouse for court reporters. During that time, even though we had a seniority system, I was the only one with any realtime or captioning experience, so I was given the opportunity to realtime a vice presidential debate with Al Gore and Jack Kemp. I was realtiming, and a transcript of my work was being printed every 15 minutes for the hundreds of national and international media that were in attendance. It was quite the experience. I only did court reporting for a short time because then I got a job with Caption Colorado, captioning from home. I worked there for seven-and-a-half years. During my time with Caption Colorado, I captioned a lot of news, baseball games, and the Olympics a few times. Then the opportunity to caption in Sydney, Australia, popped up. So I moved to Sydney to work for the Australian Caption Centre. While there, I captioned everything from news and reality TV to sports, like cricket and rugby. It was quite a learning curve because I had to adjust my dictionary to true English spellings (colour, favour, etc.) I worked there for six months and moved back to Florida, picking up with a few captioning companies and a court reporting firm. 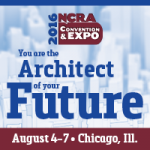 I went to an NCRA Convention & Expo in New York City and ran into my old boss and former NCRA President Kathy DiLorenzo. She told me VITAC was hiring, so I should apply again. I did apply because now they were allowing people to work from home, versus having to move to Pittsburgh. I was hired on by VITAC in 2007. While there, I captioned everything from CNN to the Stanley Cup Finals to the Olympics. I also captioned a couple of musicals on NBC: “The Sound of Music” and “Peter Pan.” Never having seen either the movie or the stage production of either tale, there was a bit of a learning curve for sure! I left VITAC in January of 2016 to strike out on my own as an independent contractor, trying to find different CART and captioning experiences. My final job with VITAC was captioning the Golden Globe Awards. So I think I went out on a high point. (August 18, 2007, Denver, Colo.) FEMA’s Denver-based MERS leave for Texas to support operations ahead of hurricane Dean. 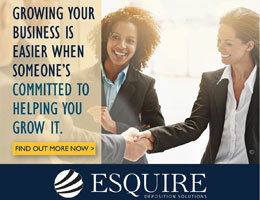 How is it you started working with FEMA as an independent contractor? What was the hiring process like? I am the administrator of a group on Facebook called The Captioning Klatch. I started it a few years ago, just as a place to come and talk about all things captioning and CART related. One of our members posted that FEMA was hiring for CART writers, so I looked at the job description and decided to apply. The hiring process involved a lot of paperwork … reams, it seemed like at times. Eventually, I was given an interview, but no one told me it would be a Skype interview. So I was in my pajamas, with no makeup on, because I was in the middle of my captioning day. I kept my webcam aimed pretty high that day for sure! I was asked a lot of questions by interviewers, both hearing and Deaf, and then I was given a practical examination, where the interviewers could see me caption. The clip they played for me was a press conference from the aftermath of Hurricane Katrina. Luckily, I had captioned the news from Louisiana during that time, so I had all of those cities and parishes in my dictionary. A short while after the interview, I was offered the job, contingent on a thorough background check and security clearance. While I have nothing to worry about, having the FBI contact friends and family is kind of freaky! You were deployed to an assignment in North Carolina. What was an average day, the good and the bad, and how you were helping in this emergency situation? How much notice did you have beforehand? When there’s a disaster and the Joint Field Office (JFO) is opened, that becomes the hub in the state for FEMA employees to go and work. They go out in the field to different locations, called Regional Field Offices (RFOs) but in general, the main administration and IT, etc., are located at the JFO. They work a minimum 12 hours a day, seven days a week, in the first couple of months, just because of the sheer number of things that have to be accomplished to help the disaster survivors. When I arrived at the JFO, the disaster was so new that in the first few weeks of the aftermath, staff was in a temporary location while they looked for a permanent location. FEMA remains on-site, with a state presence, for quite some time. 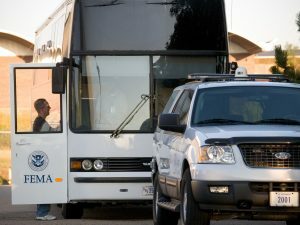 There is still FEMA staff in Louisiana working on Katrina, if that gives you a timeline. So I was with everyone else in the temporary offices, basically, just finding a spot to sit where I could. My first day at the temporary JFO, I was issued a FEMA computer, signed paperwork, got login information. All of the usual boring, but necessary, aspects of being on a temporary assignment with the government. I then had to be issued a projector and a portable screen for me to take to any realtime jobs that may be scheduled. When all was said and done, between my personal equipment, a FEMA computer, a projector, and a screen, I had more than 100 pounds of equipment to carry with me. There are no average days when it comes to a disaster. The slogan is “If you’ve been to one disaster, you’ve been to one disaster.” Every day is different. I would go into the office at 7 in the morning, and see what the schedule was like for the day. If a disaster site wanted or needed sign language interpreters, they would put in a request and that was added to the interpreters’ schedule. And almost always, the meeting was at 5 or 6 at night with a couple hours’ drive to get to the location. Because I was the one and only realtime reporter, I was assigned to larger events, so that we could reach more people. Sometimes, it was a gymnasium with 200 people; sometimes, it was a city council chamber with 30 people. Every day was something different. There were also days where we had no assignments to cover, but I would still go into work at 7. I would work on my dictionary, go through a recently written file to add acronyms or anything I may have gotten wrong. Eventually, on days where I didn’t have a meeting, I decided to hook up my projector and aim it toward the wall and practice to whatever I could find on the Internet. I believe you were gone for two weeks. How were you able to manage your own clients and regular work at home? Because I work with a great court reporting firm, they were able to take me off the books the week before I deployed. I was initially supposed to deploy to a staging area in Atlanta, Ga., because of the fact there was no office set up in North Carolina yet. So I was already off the books for my court reporting firm and wasn’t accepting or bidding on any CART or captioning work. I ended up not going to Atlanta and just having my deployment delayed a week, which was great for me because I had a court reporting training class in Washington, D.C., that I had scheduled months previous to my deployment. Gratefully, scheduling worked out for me. Were you using your own equipment? What was your setup? Were you working with any other CART captioners? I was mostly using my own equipment, yes. So I brought my Luminex, cables, cords, extensions, laptop, and cool table with me. FEMA provided the projector and the screen. I wrote a proposal for FEMA to buy everything they needed for the CART project, but as of this time, it’s still bogged down in purchasing … or somewhere governmental. FEMA wants to hire 37 more CART captioners over the next three years. So far, they have hired myself and one other reporter in Ohio, Molly Adams. We both deployed once with the caveat we will use our equipment one time, and then FEMA would have to purchase what we needed. Our concern was if our personal equipment breaks while in the field, we can’t work while deployed and we can’t work when we get home. It’s not like you can go buy most of our gear at Best Buy. So, Molly and I continue to wait. Are there any unique skill sets that are needed for this type of work? You have to be okay with not being home for an extended period of time. I did 30 days, and that was a lot. Most people do 60- to 90-day deployments and can rotate home for two weeks at a time. You have to be okay with being in a strange place and not having your creature comforts of home, potentially. I was in a rural area, and I’ve never traveled behind so many tractors! You’re staying in a hotel, most likely. And while the hotel I was in was nice, there was no oven. It had a stovetop and a fridge and microwave, but no oven. What I wanted most was a roast. I learned tips and tricks on how to find rooms with full kitchens, so next time I get deployed, I am hopeful a roast will be in the offing. Would you recommend this type of work to other CART captioners? I would totally recommend this to CART captioners. While there were never any people who were Deaf or hard of hearing at any of the meetings I went to, I was thanked quite a bit by people in attendance, who either were taking notes and missed what was said or just thought it was nice to have access. Most didn’t even realize how the “words were getting up there” on to my screen. They didn’t realize it was a real person. So the education aspect was especially nice. Is this a long-term assignment? We have a two-year contract, which may or may not be renewed when that time comes. Hopefully, I will be able to report a positive update in the next few months regarding our equipment. Obviously, if you get deployed, it means someone, somewhere, is having the worst day of their life. You wouldn’t want that, but you also want to be there to be helpful, if you can. I wouldn’t want this to be my full-time job due to the traveling and being away from home, but branching out and helping people, actually one on one, is quite a rewarding experience. Deanna Baker, RMR, is a broadcast captioner in Flagstaff, Ariz. She can be reached at dpbaker@mindspring.com.